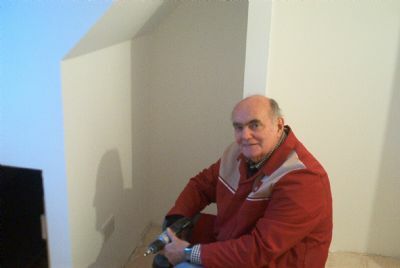 With his Dad (John) assisting, Jerry makes good progress in installing all the light fittings in the lounge, kitchen and dining room. 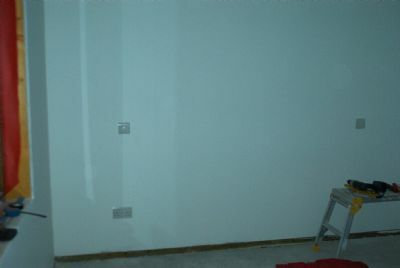 Now that the plumbing is further on Alex & Stuart return to finish the plasterboard in the showers & bathrooms, and finish painting the hall (off a trestle). 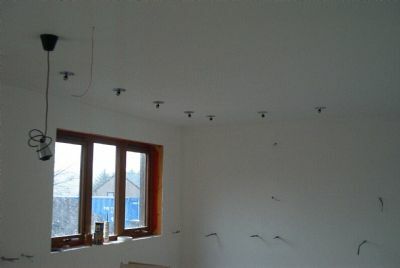 Jerry & John continue fitting electrical switches, sockets and lights on the ground floor. 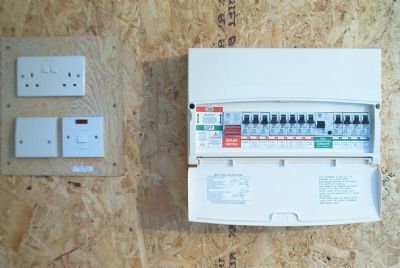 Another day of connecting sockets, light fittings and switches. John gets the honour of screwing up the final white socket (20th of the day!). 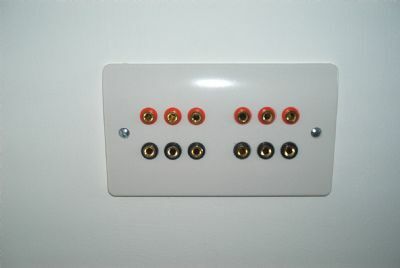 Half day today, but did manage to make and fit a cover plate for the switches and socket next to the consumer unit in the control cupboard. The 'Pecker' returns! 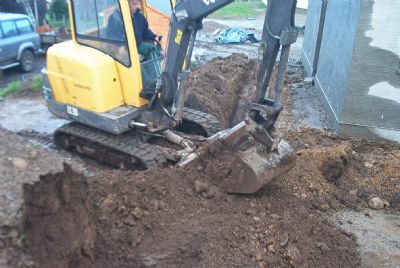 This time Andy Murray drives the 3 ton Volvo digger and makes good progress in digging (and pecking) the trenches for the sewer and rainwater pipes. We should complete the laying of the pipes and back-filling the trenches on Monday. 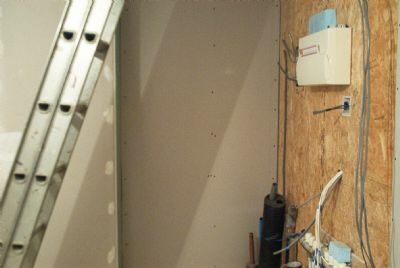 Meanwhile we carry on with the second-fix electrics; today the sound system wires are terminated in the panel custom made by Robbie (Joan's Dad).